In the past 14 years, 3414 workers lost their lives in work-related incidents. How would you cope if a work related incident was foreseeable in your workplace? A Safety System designed specifically for busy small business people and subbies. So they can show how they keep people safe; and don’t miss out on work because they don’t have safety documents. Would you like some FREE Safety Information? 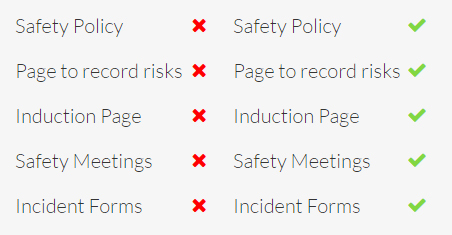 Safety forms and policies for you to use. you have had an incident and you need to provide information to WorkSafe. you want to tender for work and you have a complete a detailed safety checklist. If you are not sure what you need then give me a call. The first telephone call is free without any obligation. What if I don’t have a safety system? You will probably miss out on work and you are at risk. It is not just the fines into the millions. It is people, families and terrible tragedies that could well have been avoidable. How would you feel if someone was hurt or killed and you did not have a safety system in place? Is this Before/After checklist your safety system? Why did I create a website with all my safety resources for one low price? Simple. To give all small business people access to safety documents on the web that will help keep them safe and allow them to meet their safety obligations. No more to pay. There are more safety resources being added all the time. Dr Theresa Simpkin, Higher and Further Education Principal, CNet Training. Managing Director, Mischief Business Engineering (UK & Aust). Small Business Safety Systems provides a way for all Australian business operators to design a Workplace Health and Safety Management System (WHS) that is simple, easy to deploy, and cost effective. © Small Business Safety Systems 2017. All rights reserved. This information is supplied to SBSS members only and updated from time to time. Sharing, distributing or providing to a third party is not permitted. The wrong edition may expose you to legal action. 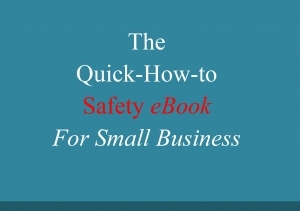 Over the last 20 years, the 10 safety issues that we see happening to Small Businesses again and again are in our Safety eBook. Sign up below to access our Free regular newsletters, and a copy of our Safety eBook.